PHILADELPHIA (WPVI) -- Members of the Philadelphia Fire Department are showing off their Eagles spirit. They have been given temporary authorization to wear Philadelphia Eagles caps as part of their uniforms to support the team's Super Bowl bid. 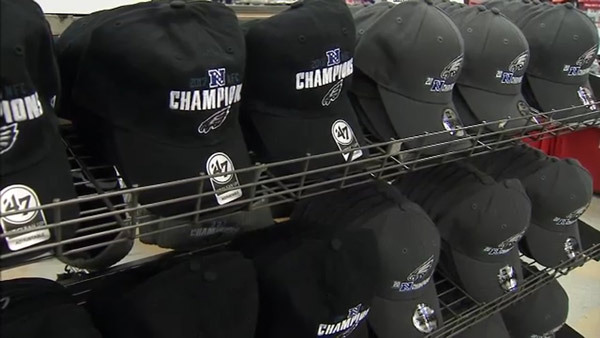 The department tells Action News the caps can be worn until February 5, the day after the Super Bowl. Firefighter Jennifer Leary, the founder of Red Paw Relief, posted a photo of her wearing her Eagles cap on Wednesday. "Best looking fire department uniforms on the east coast, especially the northeast coast!" she tweeted.